Welcome to Fun Active Health Promotion! Bike events company, we love promoting Health & Wellbeing and deliver a range of Fun Packed Interactive events for Workplace Wellness Days, Product & Service Launches, Market Research Campaigns, Roadshows, Community Fun Days, Freshers Fairs, Festivals & all kinds of celebrations! With a great reputation with many well know brands we offer a genuine understanding of your needs and are dedicated to delivering exceptional quality and service at every event with a team of friendly, experienced and professional staff. 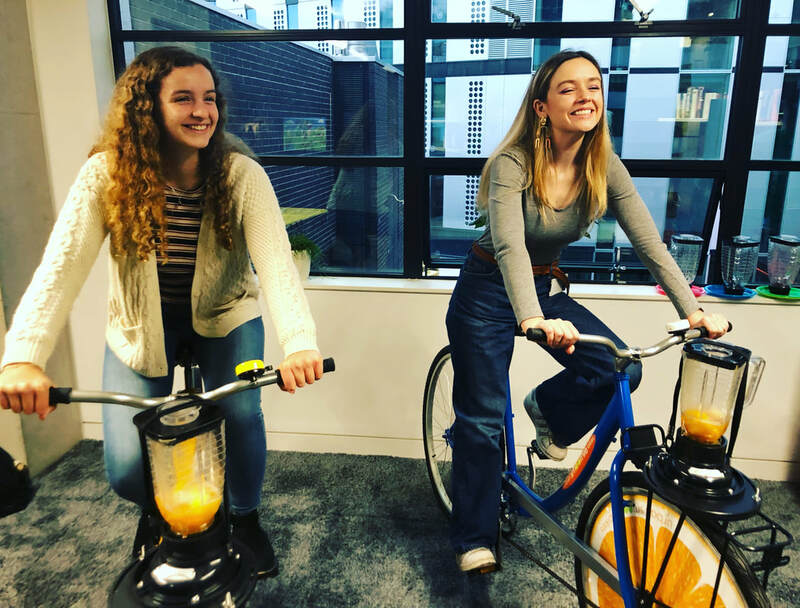 We really know how to engage and encourage people from all walks of life in enjoyable and interactive ways either by blending their own delicious fruit smoothies or slow pressed juices by pedalling our exclusively designed smoothie bikes, plus we provide a range of Wellness services including Nutrition Workshops, Onsite Chair Massage and Dance Workshops to keep everyone on their toes! We've been using compostable eco friendly compostable smoothie cups, lids and straws made from plants not plastic for the last three years. Lets make a difference together.